Beaconsfield window shutters are simply beautiful interior shutters from Just Shutters. We have the widest choice to suit any room and style. All our shutters come personally designed, created and additionally installed with a lifetime guarantee. Call us on 01494 917 055. There are not many products that can boast such a wide array of unique selling points. Usually the luxurious things comes at a high price, however our shutters combine grandeur with value for money! 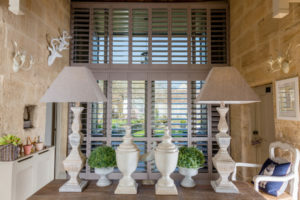 From the pages of design magazines and from the rooms of top boutique hotels, shutters are fast becoming the window dressing of choice among the discerning homeowner in Beaconsfield. Just Shutters Beaconsfield are delighted to offer the widest range of styles, materials and finishes. Furthermore we ensure, whether you love the traditional or desire the contemporary, we can provide the perfect shutter solution for you. Just Shutters are the highest rated specialist shutter company in our area, we are dedicated to providing the best products coupled with the finest service. Secondly it is this commitment that has earned us over 8000 satisfied customers and the highest percentage of 10/10 reviews in our industry; find out what our customers say below. Please call us today on 01494 917 055 or alternatively, follow the links above. We will be delighted to show you just how we earned our reputation. All quotes taken directly from checkatrade, the third party independent website that verifies reviews, please see www.checkatrade.com/justshutters for more. We had our home installed with plantation shutters. “My wife and I are very impressed with Just Shutters. From our initial contact right through to final installation everything was very professional, in fact, perfect! All the windows in my house were installed with shutters.